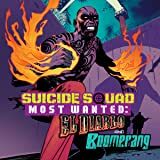 ONE OF THE LEGENDS OF TOMORROW IN HIS OWN EXPLOSIVE ADVENTURE! 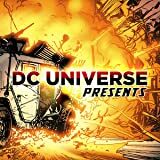 Gifted with the power of the atom, the superhero known as Firestorm has the building blocks of the universe at his fiery fingertips…but pulling himself together is his biggest challenge of all. 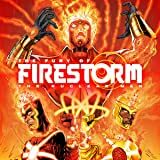 Because Firestorm is not just one hero—he’s a matrix of minds, including the minds of students Ronnie Raymond and Jason Rusch and the brilliant Professor Stein. Fused together, the fury of Firestorm is a force to be reckoned with. But broken apart, they’re a ticking time bomb…and everyone from their worst adversaries to the U.S. government wants to have their fingers on the button. 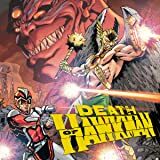 Now Jason, Ronnie and Professor Stein are locked in a race against time—and fearsome foes like Danton Black and Major Force—to preserve the Firestorm Protocol before it falls apart. Can they outrace their enemies and harness the power, or will the fire consume them one by one? 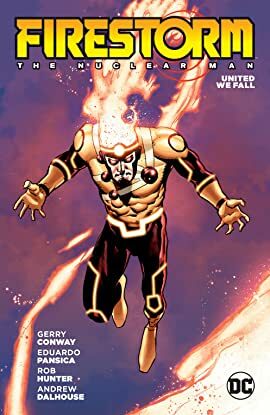 Find out in FIRESTORM: THE NUCLEAR MAN, a red-hot action-adventure saga from comics legend Gerry Conway and artist Eduardo Pansica! 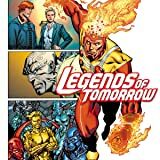 Collects FIRESTORM: THE NUCLEAR MAN stories from LEGENDS OF TOMORROW #1-6.